Psychological experiments have shown that humans make assumptions, which are not necessarily valid, as they are influenced by their background knowledge and reason non-monotonically. These observations show that Classical Logic is not adequate for modeling human reasoning. Instead of assuming that humans do not reason logically at all, the author takes the view that humans do not necessarily reason classical logically. 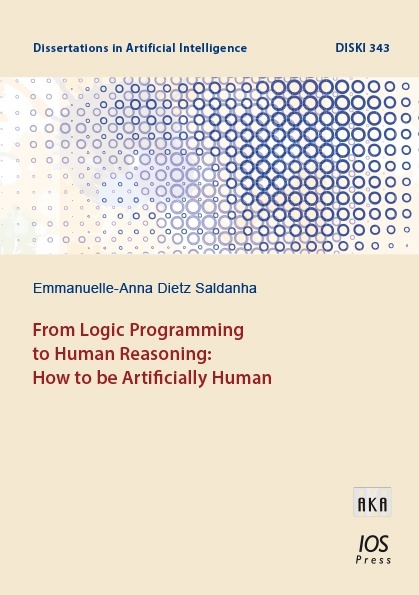 The Weak Completion Semantics, a novel non-monotonic Logic Programming approach based on the three-valued Łukasiewicz Logic, is investigated and applied for the formalization of well-known human reasoning tasks. A surprising result is that the Weak Completion Semantics performs better than any other cognitive theory. Altogether, this dissertation shows one possible path on bridging the gap between Cognitive Science and Computational Logic, by building on previous formal approaches and modeling findings from psychological experiments within one cognitive theory.